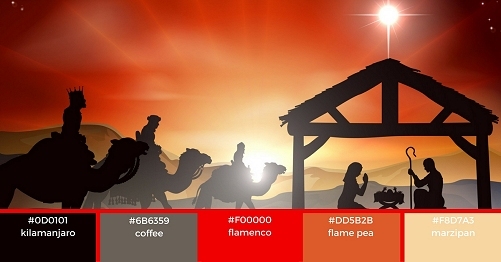 If you are looking for new palette options for your Christmas marketing campaign, once again the image is the best place to start. 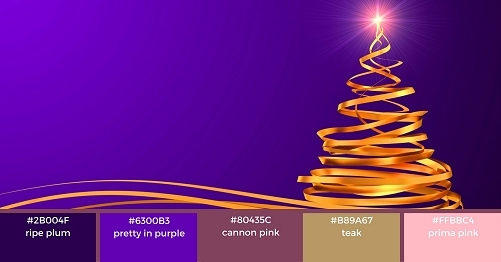 Choose an image that is obviously holiday themed but in colours outside of the traditional red and green colour combinations. Pull the colours out of the image to create a palette that is exciting but non-traditional. Here are a few ideas that might spark something for you. You can pair almost any colour with gold or silver metallics to make it festive. So it stands to reason that the non-metallic versions of gold and grey would pair well. Together they create a feeling of warm elegance that is very inviting. Pair blue with silver and you get the same elegance with a cool tone. A little more formal or a little more relaxed depending what your text is. 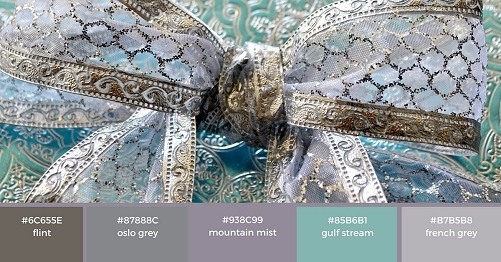 This palette can evoke cool breezes and festive nights or it can be used to trigger thoughts of grey, relaxed cottage days. It will be all in the word smithing. Purple and gold, paired with pink! I don't know about you but I sense a party coming on. This palette has a festive, feel-good vibe that would be appropriate for any holiday event or sale. 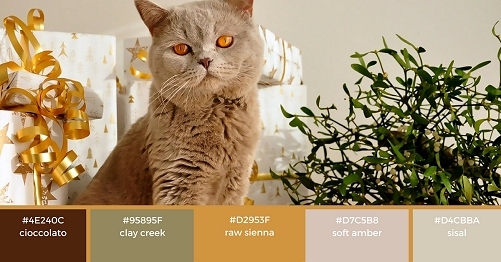 Dramatically different for a holiday palette, these earth tones are inviting and warm. They call out to come in from the cold, warm yourself by the fire, enjoy a quiet, conversational gathering with friends. Pretty in pink and grey is fun and festive. 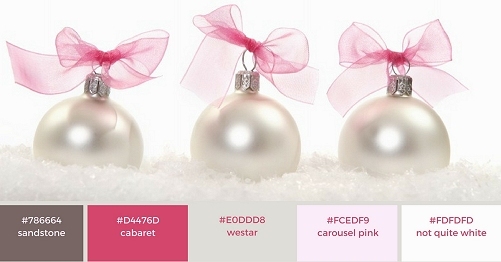 Perfect to promote holiday events or products with a feminine appeal. Whatever the mood for your holiday campaign, there is a non-traditional palette for that! An Email Marketing Happy Dance!